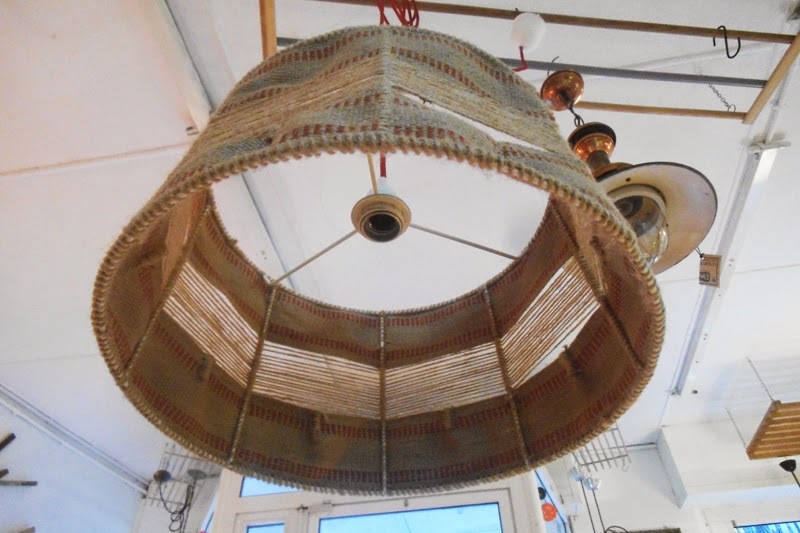 This is one of those projects that I wouldn't have tackled if I had known beforehand that it would be so time consuming, but I am glad I persevered, because the result is a warm, quite unique celiling lamp! 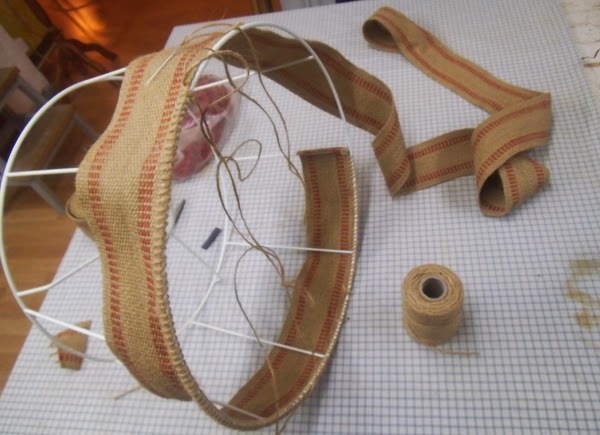 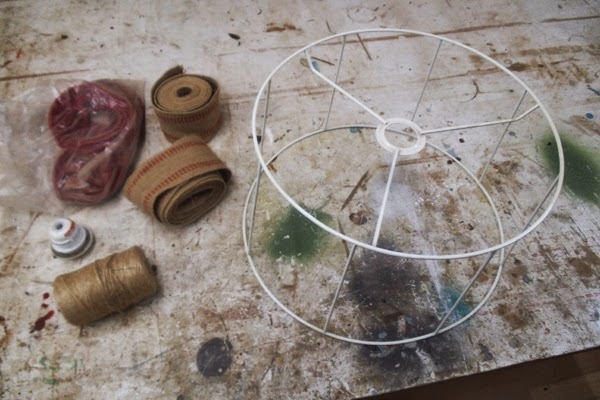 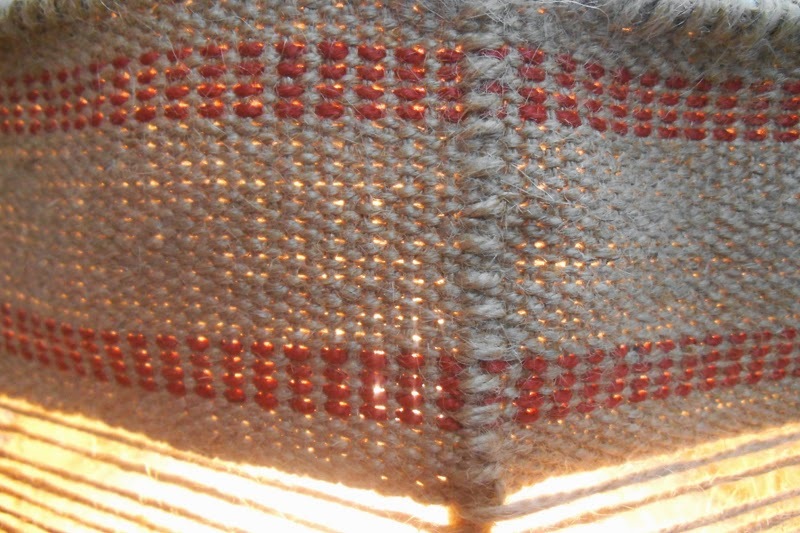 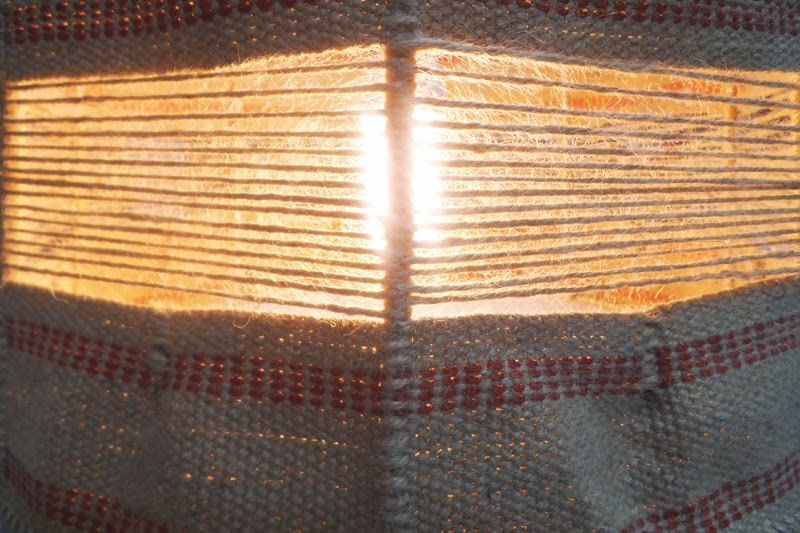 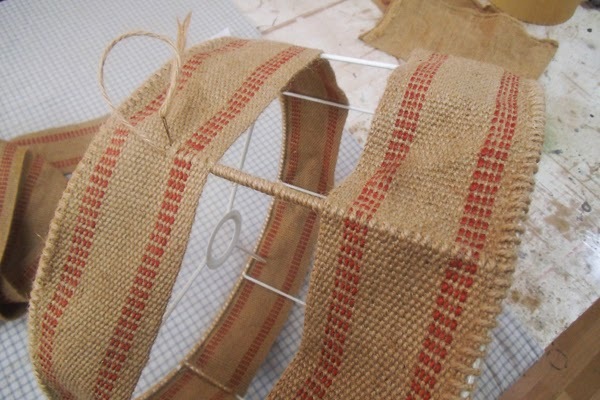 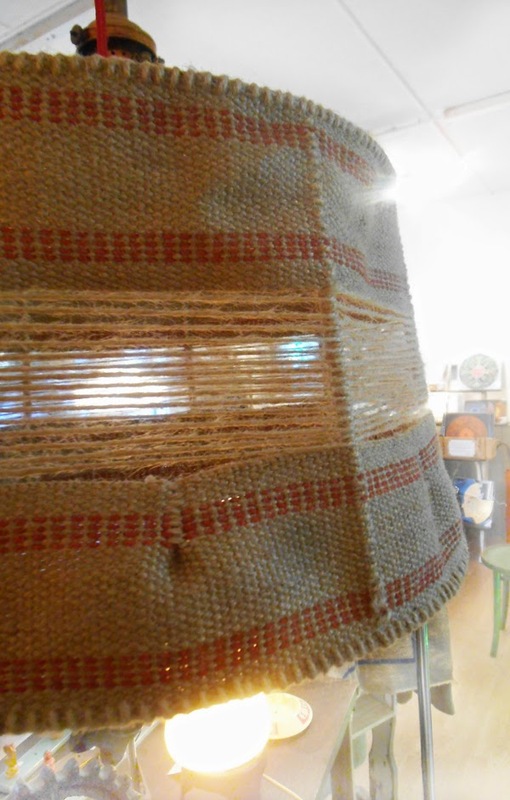 See the 'Making of' pictures to get an idea of how the lamp shade got made with burlap webbing and thread. 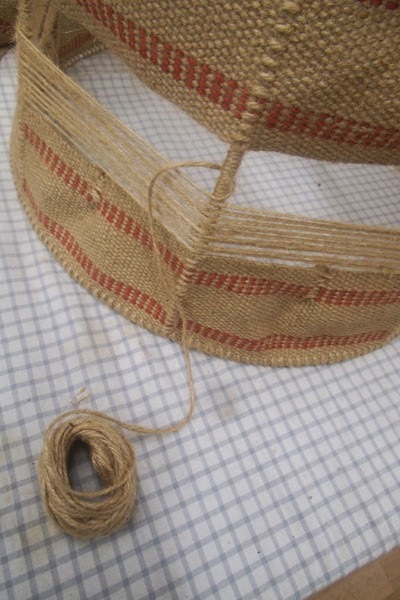 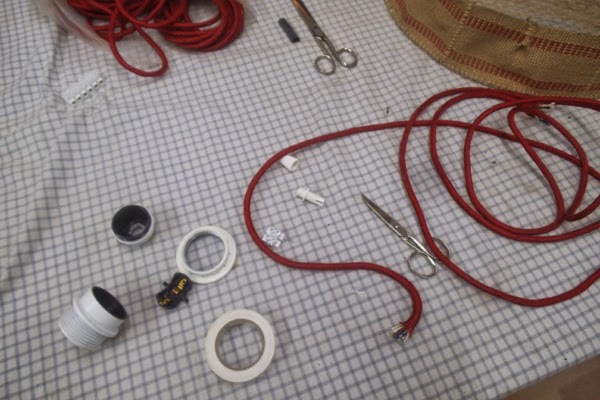 The red cotton cord completes the design. 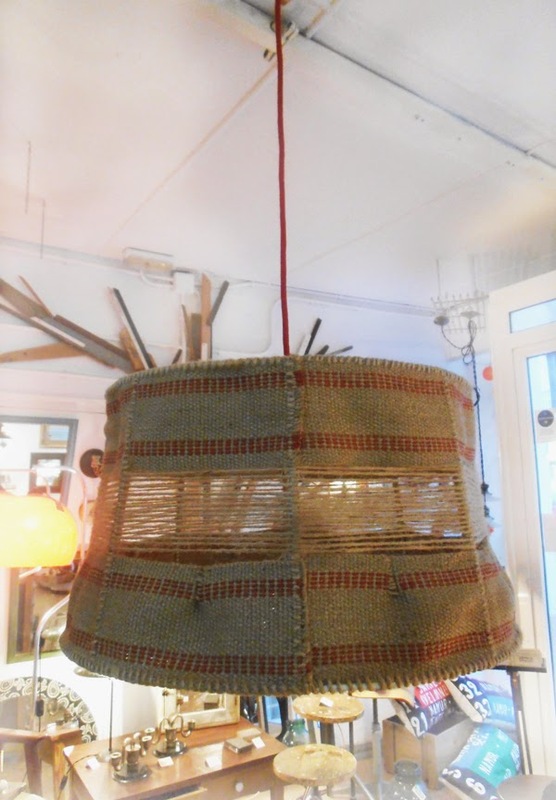 Measures: 40cm diameter, 22cm high. 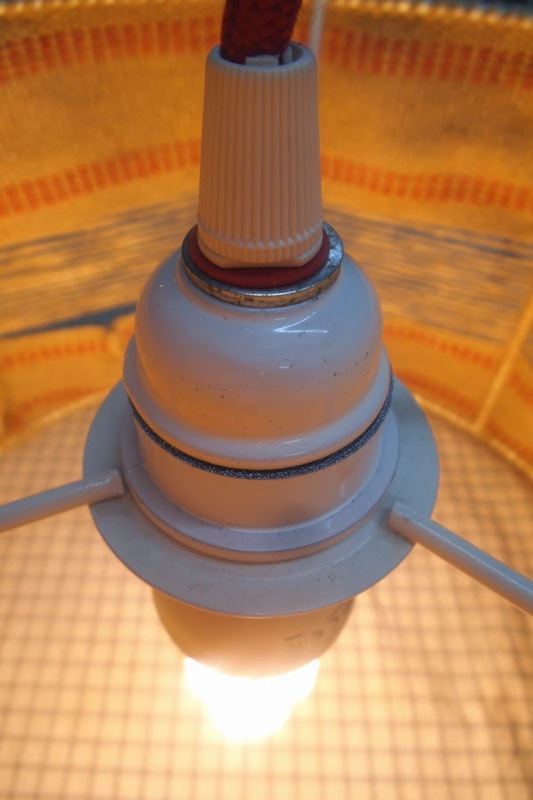 The cord is 2 meters long, so the lamp can be hung quite low and at a certain distance of the connections in the ceiling. 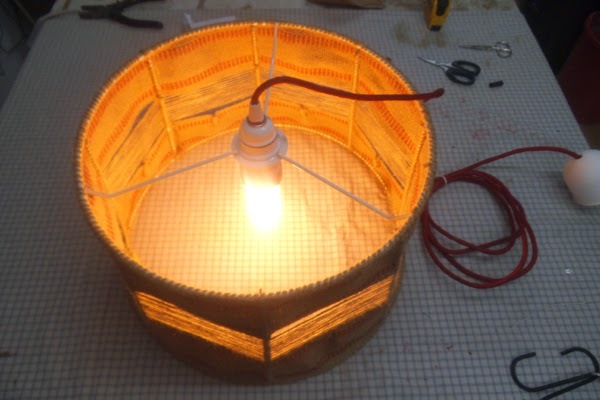 Once the shade was finished, I wired the lamp.